As the school year begins, seventeen college and university students will go back to class with valuable professional experience gained through WTD’s summer internship program. From engineering to communications and everything in-between, WTD’s paying internships help students make money while exploring a variety of career pathways in the clean-water industry. The interns’ work this summer contributes to a variety of ongoing projects and makes a positive lasting impact at WTD. Here are a few of their stories. Project management intern Richard Huang worked on the side sewer connections of the North Creek Interceptor Project to make sure two commercial buildings will keep their sewer service when construction ends. Huang is originally from Sacramento, Calif., and earned an engineering degree from the University of California, Berkeley. “I am thankful for my opportunity here at WTD to learn more about what goes into developing our capital projects,” said Huang. Holly Mouser and Aaron Terrell worked together this summer to contribute to an ongoing Combined Sewer Overflow GPS Update Project by locating and documenting the manholes within Seattle city limits and updating the GIS database. This information contributes to a growing GIS database of all King County sewer facilities, which helps the division make decisions about modeling, planning, inspection and maintenance. 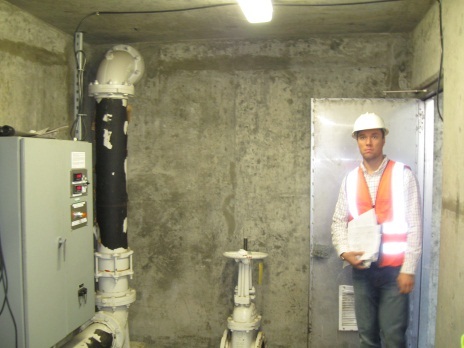 Seattle University student Garrett Anderson worked on a structural modification project at West Point Treatment Plant. The updates will replace parts from the 1960s with more efficient technology and design. “Have you looked at the RS Means books (that provide cost information to the construction industry) for a few hours in one day? Numbers start looking like the Matrix after that!” said Anderson. 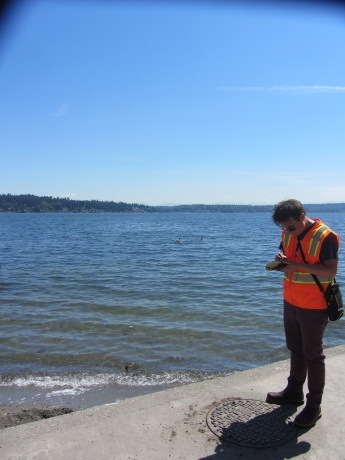 Seattle University student Cameron Carlson worked with the Instrumentation and Control group on West Point’s control system replacement project. 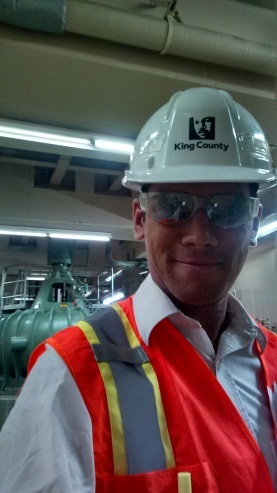 He tested the upgraded automation of the chlorination systems and made sure the contractor’s work was up to King County specifications. Brinlee Finzel worked on an engineering project this summer to find better replacements for a heat exchanger and a gravity belt thickener wash water booster pump. The new replacements will be easier to clean and maintain. “I learned a lot this summer, and can’t wait to apply what I’ve learned in future endeavors,” said Finzel, who is a student at Seattle Pacific University. Robert Sumpter worked at West Point Treatment Plant where he contributed to AS-Built drafting and redline markups, while drawing mechanical systems schematics for complicated equipment. His work significantly helps others understand all parts of the drafted system. “As a student I feel extremely lucky to be given the opportunity to learn these skills in conjunction with valuable training in AutoCAD software,” said Sumpter, who is pursuing a degree in architectural design. 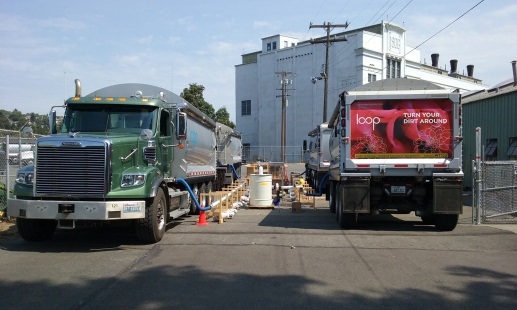 Melissa Dahl spent her summer deeply involved in the Georgetown Truck Odor Mitigation Project. 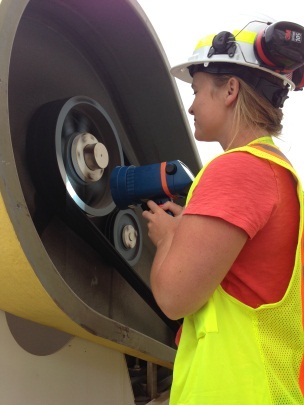 Her contributions to research and data collection helped the biosolids team with a research study based on mitigation methods to combat odor for future projects. Alison Saperstein provided research, analysis, and writing to support projects related to WTD’s economics and financing. She helped with an upcoming bond issue by summarizing what investors need to know about WTD’s response to climate change and supported the efforts to update sewer charges. 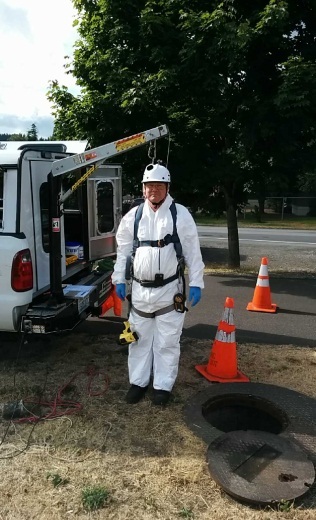 University of Washington student Cameron McCallum assisted with confined space entries and Hydrogen Sulfide inspections. He routinely took samples for dissolved oxygen, total dissolved sulfides and pH levels. These efforts support the continued maintenance and longevity of WTD sewers. 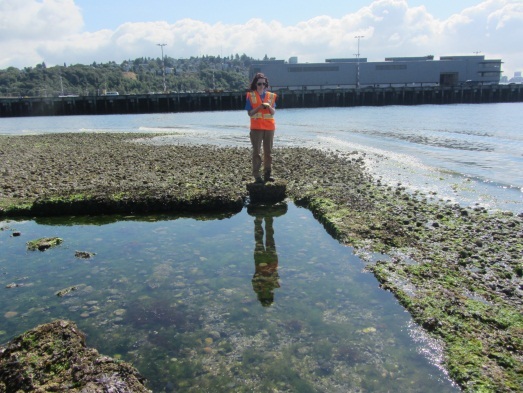 “My internship was a valuable opportunity to learn about wastewater science and all that it takes to maintain a premier public utility,” said McCallum. Colton Rekers and Michael Truax worked together to help free the inventory rooms of outdated items at West Point and an Off-Site Location on Jameson St. They helped identify construction spares that were not documented in WTD inventory and either sent them to surplus or entered them into the inventory system. Their work helped to free-up lots of space in the inventory rooms and better locate parts that were already on hand. Rekers’ and Truax’s favorite quote: “The most dangerous kind of waste is the waste we do not recognize.” – Shigeo Shingo. Come make clean water with us! In addition to the summer interns, WTD has several year-long interns whose work contributes to community services, equity and social justice, public relations and internal communications. Get more information about our internship program and upcoming opportunities on the WTD website.